France’s cable king promised investors a slew of deals when he floated Altice, his investment vehicle. The biggest and best would be Vivendi’s mobile operator SFR. Armed with cheap debt and a thrifty mindset, Patrick Drahi has gobbled up assets in Western Europe, Israel and the Caribbean. But competition is intensifying. The 1.5 billion euro Dutch listing of Altice gives him fresh currency for deals. 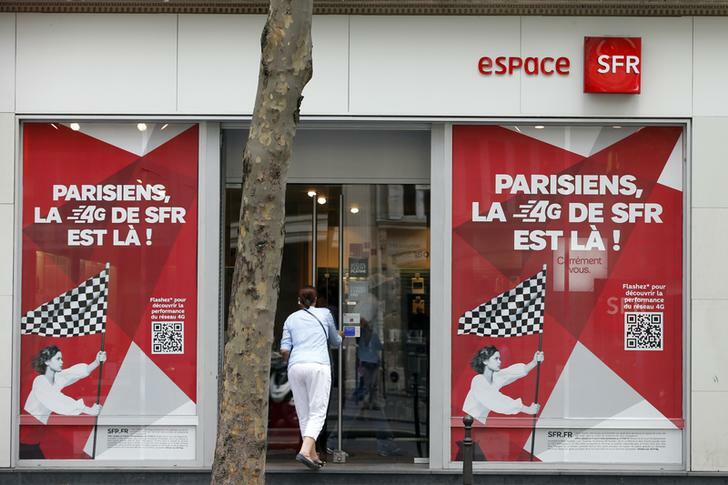 The obvious, much-rumoured move would be to try to acquire SFR, France’s second-largest mobile group. Merging SFR with Numericable, a French cable business that Drahi also floated recently, and which Altice controls, would create a formidable rival to Orange, the national champion. Analysts estimate synergies could top 3 billion euros. The catch is that Vivendi wants to hand SFR to its own shareholders. This looks more palatable than a leveraged selloff with big job cuts. Then again, French mobile is a brutal market. A standalone SFR might be worth barely four times EBITDA, or 10 billion euros. A spinoff is supposed to unlock “hidden value.” If it threatens to do the opposite, Vivendi might agree to sell its unit – especially if Drahi shares synergies through a decent premium. Numericable is constrained by debt. But Drahi could now raise equity through Altice, and back a Numericable capital-raising. An unusual IPO clause allows 50 percent more shares to be issued after just 45 days if Altice finds a big deal. Drahi has other options. Altice touts five to 10 prospects in existing markets; three or four growth plays; and two or three phone companies. These might include Cable & Wireless, Columbus or Digicel for Caribbean heft. In Portugal, Zon Optimus would fit nicely if African billionaire Isabel dos Santos is willing to trade. So would private cable firms Euskaltel, Operador R or Telecable in neighbouring Spain. Britain’s Colt would give extra “business-to-business” capability. Israel’s Partner, which already shares networks with Altice, could eventually be a merger partner too. He could either sell out in Belgium, or bulk up by buying Voo, a cable outfit. That is a long list. But Drahi has sold shareholders his ability to spot bargains, cut costs, and marry cable with telecoms. He has to keep the M&A machine running. A woman enters a French mobile phone operator SFR shop in Paris. Altice, Patrick Drahi’s cable investment firm, concluded its Amsterdam flotation on Feb. 6 by exercising a “greenshoe” option. The move increases the deal’s size to 1.501 billion euros ($2.06 billion) and means 26.2 percent of the company’s shares are now freely traded. Altice stock closed at 29.72 euros on Feb. 14, or 5 percent higher than the initial public offering price of 28.25 euros. The company is the biggest shareholder in Numericable, the recently floated French cable operator, with a stake of 40 percent. Outside France, the group owns HOT, Israel’s only “triple-play” provider of television, internet and fixed-line telephony. Altice also operates in Belgium, Luxembourg, Portugal, Switzerland and French overseas territories, and recently bought cable and mobile operators in the Dominican Republic. “Our company is about to look at a lot of acquisitions in many countries,” Drahi told reporters in Amsterdam on Jan. 31. Five days later he told a Tel Aviv news conference that he expected Israeli regulators to allow mobile-market consolidation starting in about two years’ time, and that the sector would eventually narrow to three operators from eight. One major potential deal would be to merge Numericable with SFR, the Vivendi unit that is France’s second-biggest mobile operator. However, SFR Chairman and CEO Jean-Yves Charlier has said Vivendi is entirely focused on a spinoff. “We have one plan, and only one - it’s splitting SFR from Vivendi,” Bloomberg quoted Charlier as saying on Feb. 3.